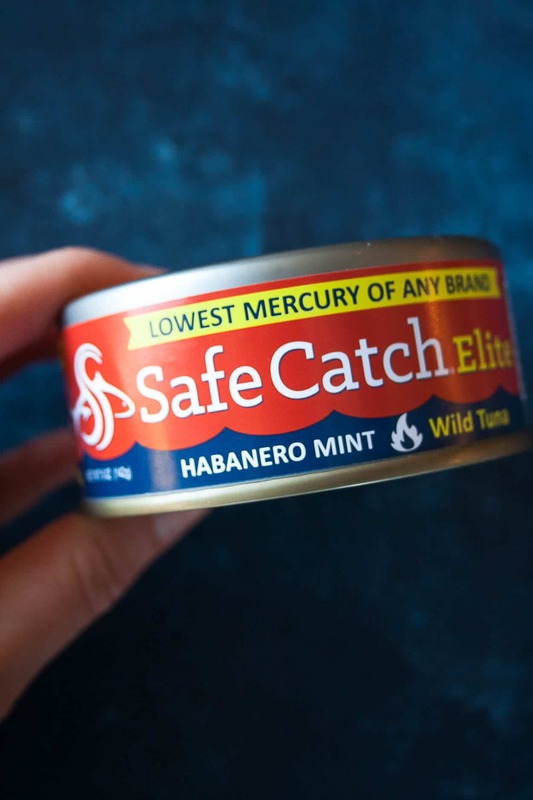 Thanks to Safe Catch’s new seasoned elite tuna, only 5 minutes stand between you and a protein-packed lunch of habanero mint tuna tacos! Happy Thursday friends! What a crazy week it has been. Pat and I packed up and moved condos – in fact we closed on the sale of one, the purchase of another, and moved all in the same day. BUT, we’re in. And we’re semi-settled. One of my saving graces during this move was Safe Catch Tuna. If I’ve said it once, I’ve said it a hundred times, I freaking LOVE Safe Catch’s line of seasoned tuna. During our final week before the move, I was in full on ‘clean out the fridge’ mode. I ate some weird meals… meatballs and raw veggies for breakfast anyone? Yea, I did that. Twice. 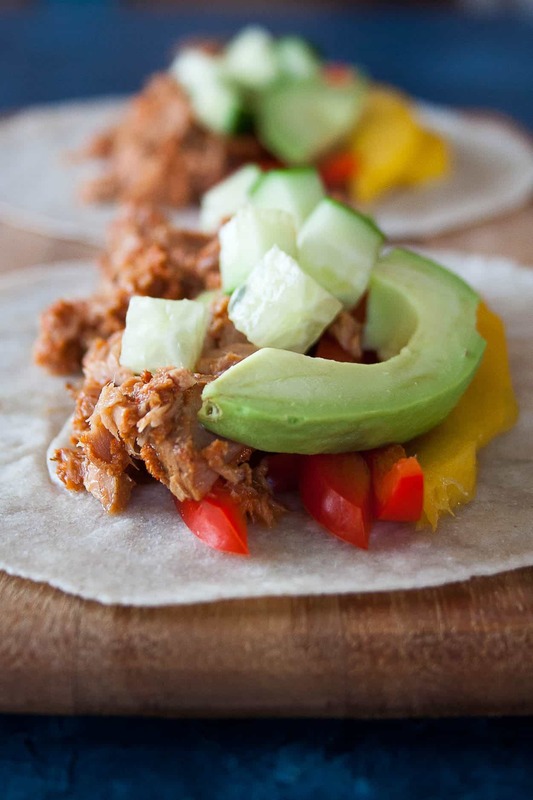 But my best lunch that week were these 5-Mintute Habanero Mint Tuna Tacos! In no more than 5 minutes, I sliced up a mango, some bell pepper, avocado, and cucumber. I heated up a few tortillas and LUNCH WAS SERVED. It was seriously that easy. 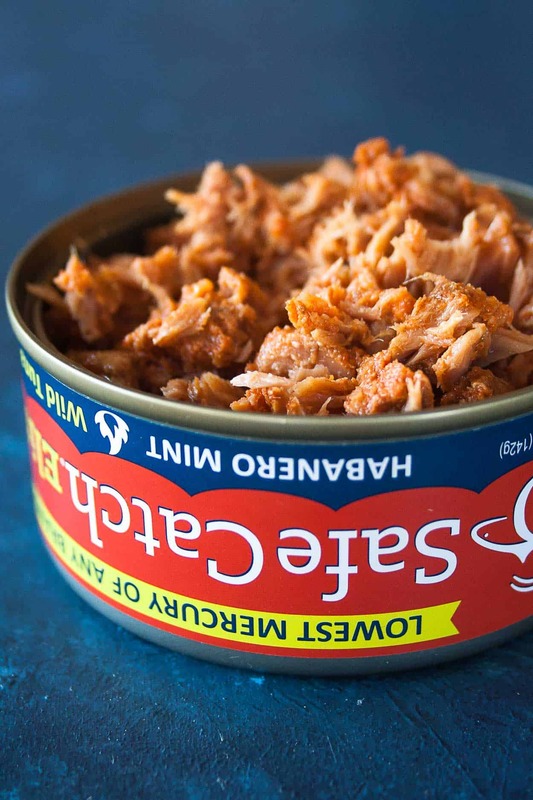 And that’s what I love most about this tuna – it’s pre-seasoned so there is literally no prep required. Do you see all that flavaaaa? This habanero mint is spicy. I’m talking ‘put on deodorant for a second time spicy’ because it’s gonna make you sweat! And I love pairing spice with really fresh, crisp fruits and veggies. 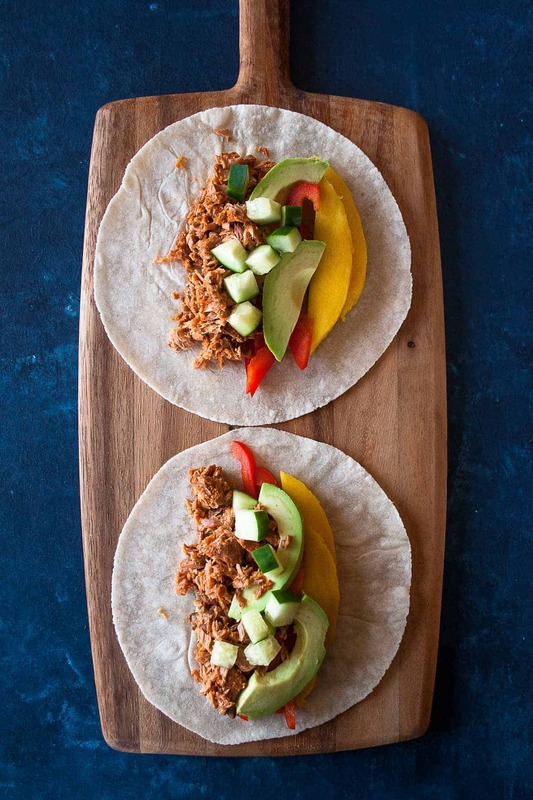 The mango, pepper, cucumber and avocado all do a great job in taming the spicy for a perfectly balanced taco! When you make these 5-Minute Habanero Mint Tuna Tacos post a picture on social media and use the hashtag #imhungrybynature for a chance to be featured! 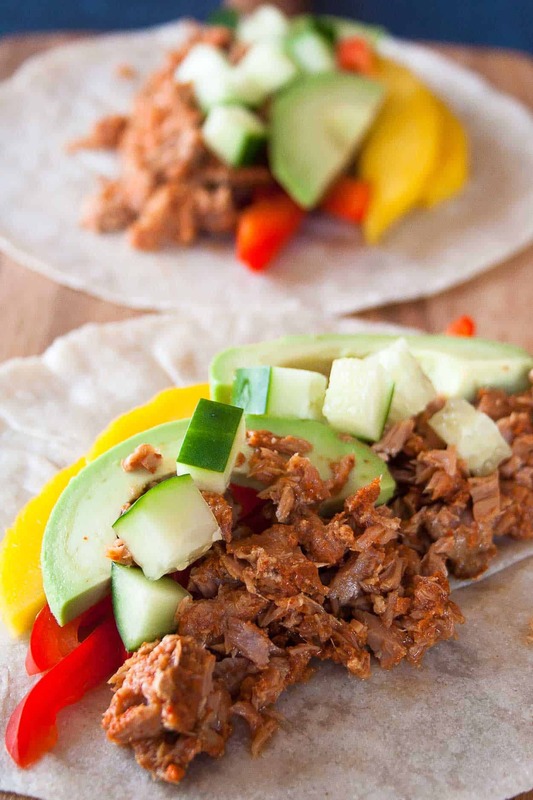 Divide the Safe Catch Habanero Mint seasoned tuna between the taco shells and top with sliced avocado, bell peppers, mango, and cucumber.